Definition at line 2257 of file CCopasiXMLParser.h. 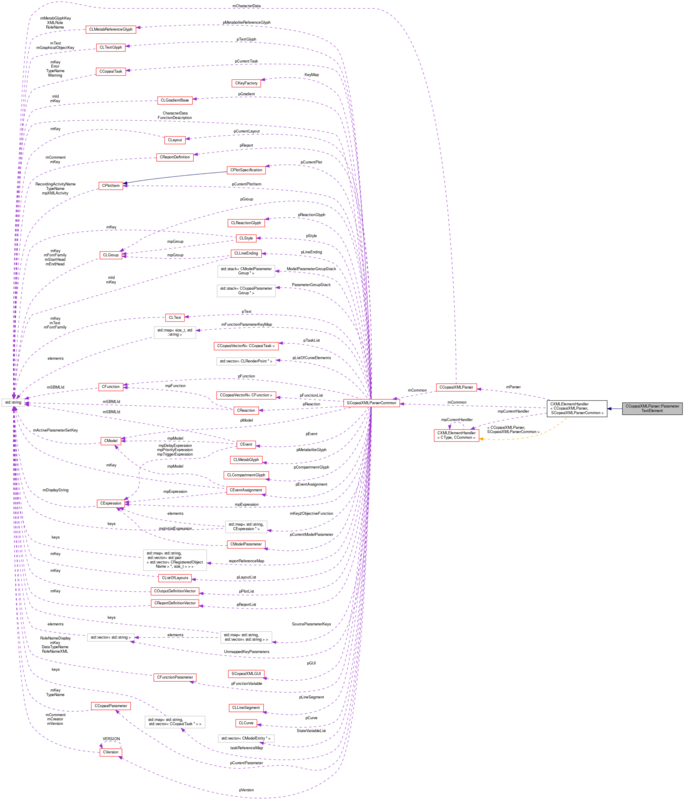 Definition at line 2265 of file CCopasiXMLParser.h. Definition at line 9172 of file CCopasiXMLParser.cpp. Definition at line 9177 of file CCopasiXMLParser.cpp. Definition at line 9229 of file CCopasiXMLParser.cpp. References SCopasiXMLParserCommon::CharacterData, CCopasiMessage::EXCEPTION, CCopasiXMLParser::mCommon, MCXML, CExpatTemplate< CExpat >::mParser, SCopasiXMLParserCommon::pCurrentParameter, CCopasiParameter::setValue(), START_ELEMENT, and UNKNOWN_ELEMENT. 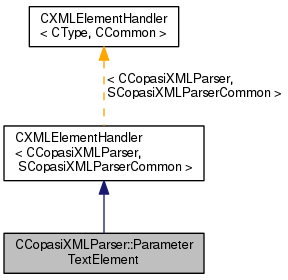 Definition at line 9180 of file CCopasiXMLParser.cpp. References CCopasiMessage::ERROR, CCopasiMessage::EXCEPTION, CCopasiParameter::EXPRESSION, CCopasiParameter::INVALID, CCopasiXMLParser::mCommon, MCXML, CExpatTemplate< CExpat >::mParser, SCopasiXMLParserCommon::pCurrentParameter, toEnum(), UNKNOWN_ELEMENT, and CCopasiParameter::XMLType.